The Gulmay GX Series is the latest high specification range of high voltage generators ranging in output power from 3025 W to 7500 W. Designed for a wide range of applications, GX generators are available in output voltage configurations from 65KV up to 450KV. The sub 800mS rise time from zero to full power makes the GX the ideal generator for high speed digital and linear imaging applications. A number of unique and advanced features are incorporated including Variable Frequency, Active PFC technology and Dynamic Tube Arc Management®. Variable drive frequency up to 45KHz has enabled Gulmay to significantly reduce both the size and weight of GX series generators without compromising performance or reliability. The oil-filled high voltage system provides greater thermal dissipation than resin-filled designs, increasing reliability and ensuring both a 100% duty cycle and full field serviceability. 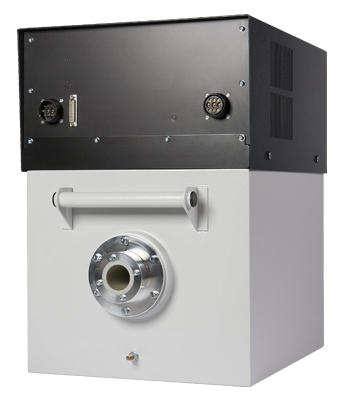 The GX series of generators is compatible with x-ray tubes from all leading manufacturers. Please fill out this form if you would like more information about the GX65 X-Ray Generator.